What are my shade options for my Charlotte patio? In Charlotte, our backyards are consistently under siege by the constant heat and bright shine from the sun. What are the options for shade? This time we are going to discuss ideas ranging from the least expensive to most expensive. There are options of umbrellas like above that range from hundreds of dollars to a couple of thousand dollars. The upside is the low cost and they can be attractive. The negatives are they are not permanent, require movement, and maintenance. Awnings can be attached to the back of the house and depending on the quality and size, can range from $1,000 up to $6,000. They are relatively effective at blocking the sun. They are not the most attractive option and do not hold up in wind and need to be maintained. 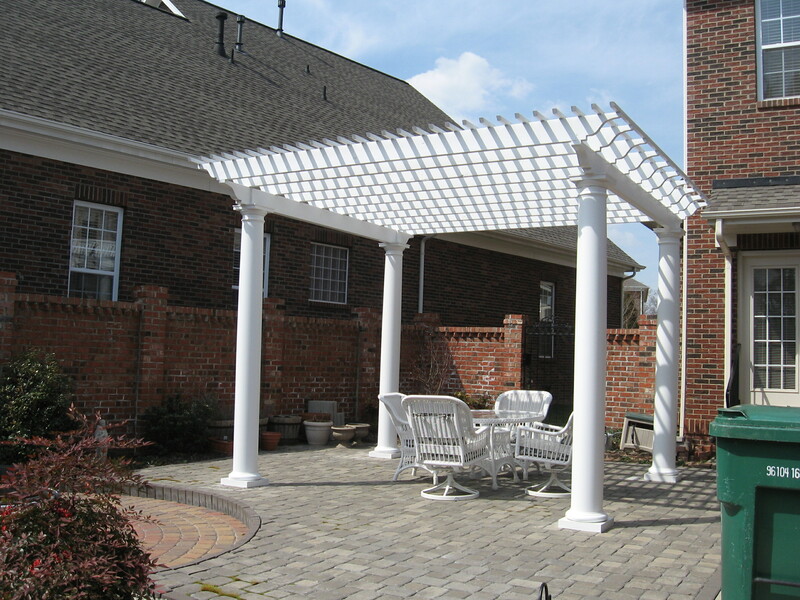 Pergolas or arbors as they are sometimes called are another option for shade. They can range from $2,000 – $8,000 depending on materials and size. 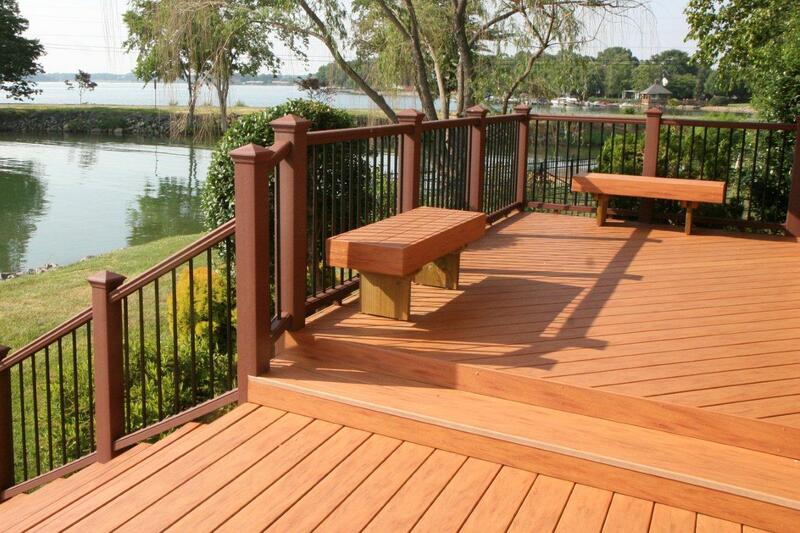 They are quite attractive and a cost effective way to shade your deck or patio. The negative is they do not block out rain and the shade is only partial. 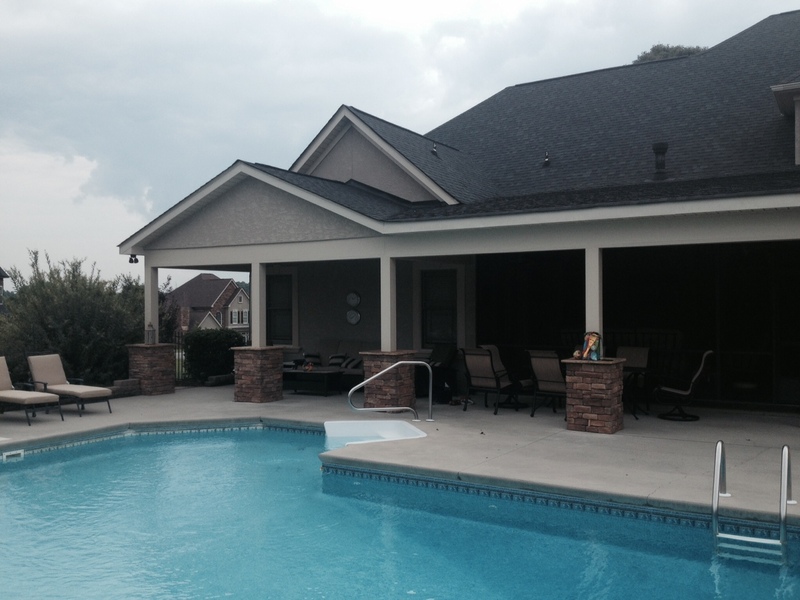 Finally, a solid roof structure like the one constructed in the photo above by the pool. These can run from $10,000 and up depending on size and materials. The positives are the total block from sun and rain, they are beautiful when designed properly, and increase property value. The only negatives are the higher cost and potentially blocking light from coming into your home. 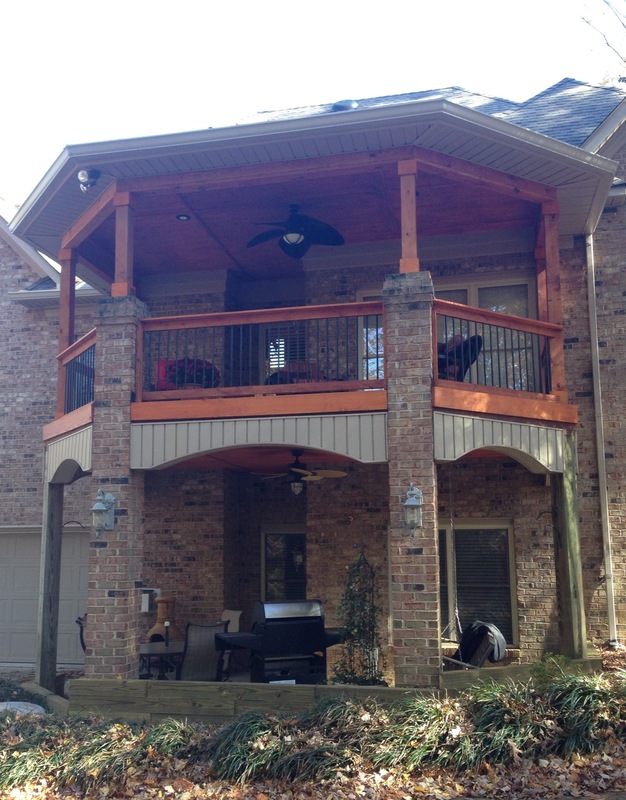 Porches on patios…what do I need to consider? How do these effect the price of a Charlotte porch? 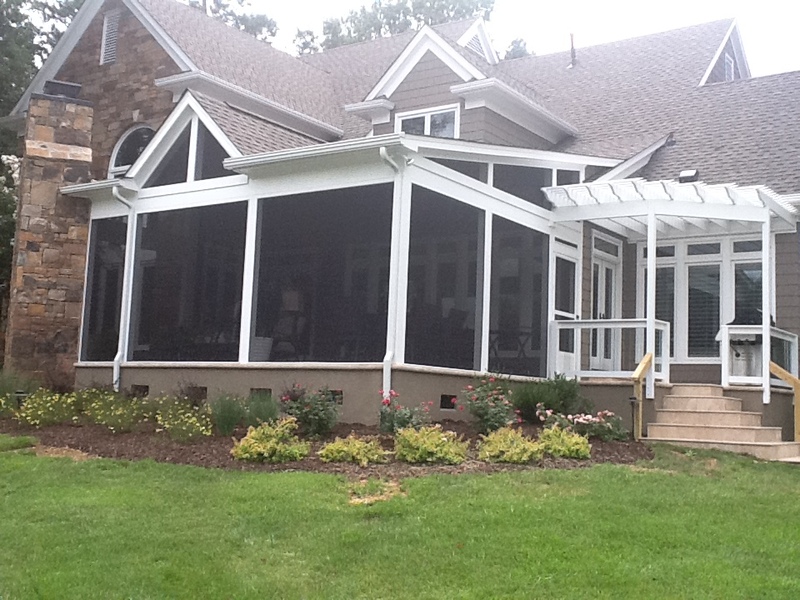 Porches, whether they are screened in or simply covered, can be built on decks or patios. 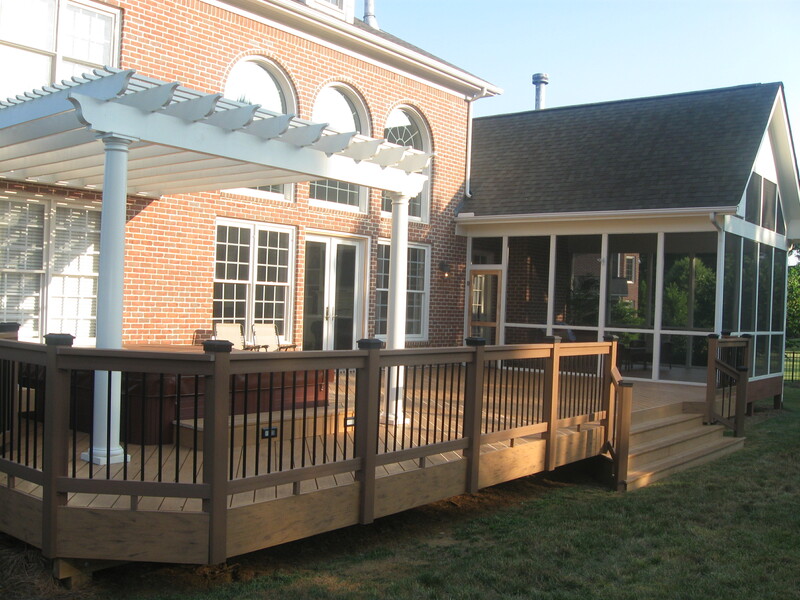 When you are planning to have a porch built on a patio, there are various things that should be taken into consideration prior to having it built. First, what roof line will work when you look at the possible obstructions from existing windows, vents, pipes, lights, speakers, etc? What roof shape is appropriate to match the existing architecture? 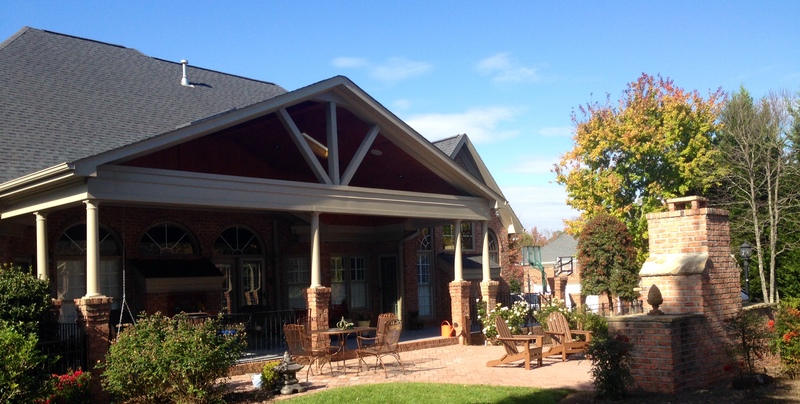 You may have a gable, a hip, a shed, or even a gazebo shaped roof that works best with your home. Secondly, what is the existing flooring? Is it concrete, pavers, or brick? What will you need to do to dig your footings to support the new porch cover (roof)? Is the current patio the appropriate size or will you need to expand the footprint to fit the new porch? Will the additional materials be able to match the existing materials? Thirdly, what about drainage? Will the new porch cover have gutters? Where will the downspouts be installed? What is the grade of your property and will the placement of the downspouts work will or does there need to be trenching done to route the downspouts where you want the water to run? All of the above items will impact the cost of your project. Different roof lines have different costs associated with them. For example, a gable roof is more costly than a shed roof generally speaking and a gazebo roof is even more costly. 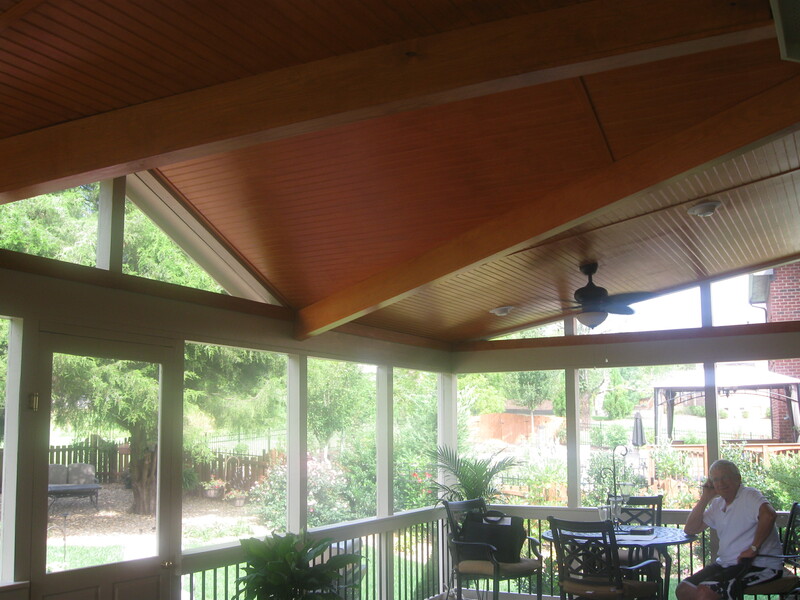 If you want to expand the current patio to fit a large roof, this will incur cost above and beyond the porch cover itself. You are probably going to want a ceiling fan and lighting installed so you should budget for these additional electrical expenses. For more information on porch considerations, visit either http://www.charlotte.archadeck.com or you can go to www.porch.com as well! 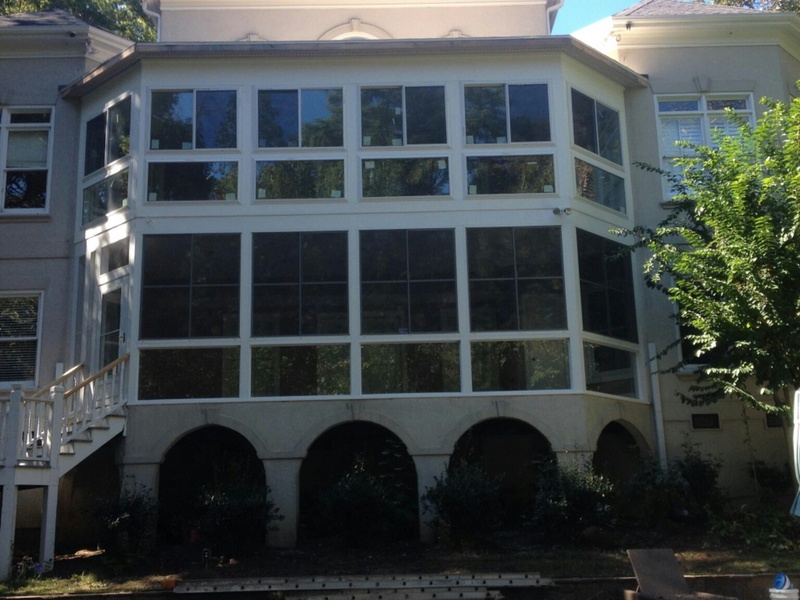 I want a screen porch but I am worried about blocking the light out of my Charlotte home? A big concern for people wanting a screen porch added to the back of their home is how much light it may or may not block from getting back into their home, and rightfully so! 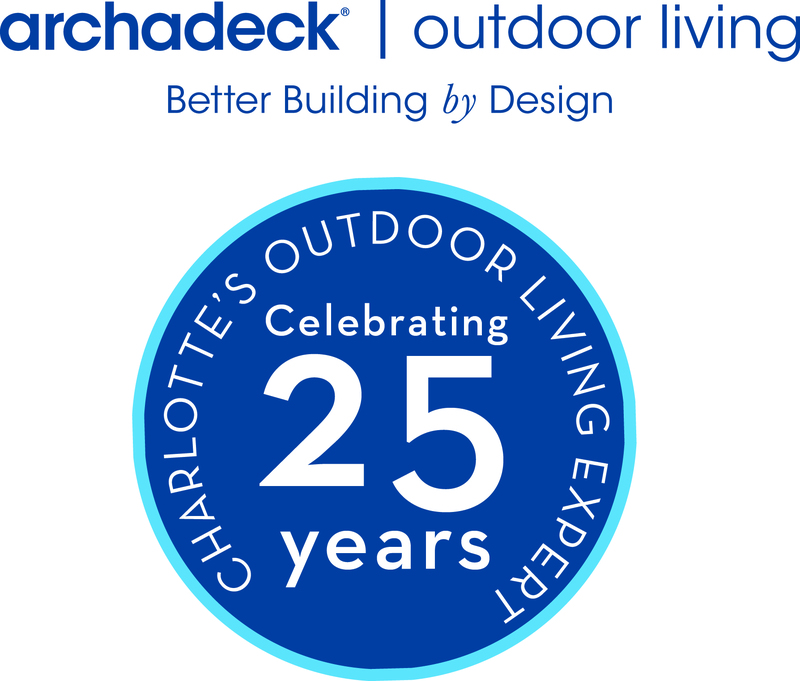 Archadeck of Charlotte designers are as close to experts as it gets after 26 plus years of designing and building screen porches and over 23,000 projects built. There are several considerations and things that can alter the lighting. When people ask me if a certain roof line is going to darken their home, the first thing I ask or observe is to see if the house is currently dark where the porch is going to be built? If the answer is yes, my response is simple. If your family room for instance is currently dark, it is going to stay dark with or without adding a screen porch so we can eliminate that as one of your concerns. If the current portion of the house is actually light from the way the sun hits the back of the house, roof line is a big consideration. The roof line that allows the most light in is a gable roof or what looks like an “A-Frame” roof. When we design it with an LVL ridge beam, it allows us to vault the ceiling, completely screen the gable (or triangular opening), and allow the maximum light through back into the house. The more pitch we can get on the gable, the more light that will be allowed back in. If you cannot have a gable due to 2nd story windows that are in the way of a gable pitch, there is a way where we actually design a shed roof and in the middle we design and build a gable dormer that is pitched to allow light back in. Finally, sky lights are a great light source when placed properly and designed to allow light in the right spot! This takes a well-thought-out design approach. Sky lights are notorious for leaking but when you buy the right flashing kit and install them properly, they should not leak! To see various roof lines, go to http://www.charlotte.archadeck.com and the photo gallery and there are great illustrations and examples where you can envision what it might look like on your home!